Convert recipes between all-grain and extract with some simple calculations. Mr. Wizard helps a reader make his maltiness more massive. There are many ingredients that brewers use to flavor and season their beer, from orange peel and coriander to black pepper and grains of paradise. But the gold standard remains the humble hop. Hops have long served many purposes in beer. They provide bitterness to balance the sweetness of malt, and add myriad flavors and aromas. 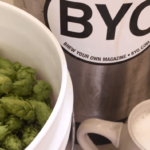 When choosing which hop or combination of hops to include in a particular beer there are several questions that come to mind. What type and degree of bitterness, flavor and aroma is desired in the beer to be brewed? How are the bitterness, flavor and aroma derived from hops? What style of beer is being brewed, or am I leaving style guidelines behind to create something of my own? Are you getting all you can get out of your malt? With malt prices on the rise, you may be wondering about this. Discover ways to get a better yield without sacrificing wort quality or expanding a brewday.